One of the best ways to handle media use among children is for families to sit down together and create a family agreement. This allows all family members a chance to join the conversation and share what their thoughts and feelings are regarding what they do when they’re online. Having an open conversation with your family lends itself to establishing values about using online media and helps to make decisions as to what should be on the family media agreement. 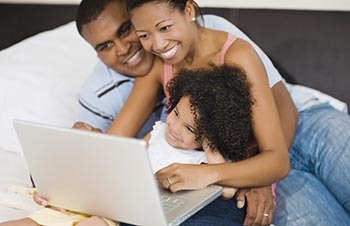 How are we doing as a family with our use of online media? What should our rules be for use of online media during the school week? Should we treat weekends and holidays differently? What happens when you go to a home with a different set of rules? Regardless of the result of the agreement, the conversation is the most important aspect.